Ashton Meadows is a Bee Ridge residential development of national homebuilder D.R. Horton which began preselling sometime in the first quarter of 2018. It is one of several infill housing projects that this publicly listed company undertook in the Ashton Road area noted as a haven for “Sarasota bedroom communities” much sought-after due to their convenient location. Ashton Meadows’ acreage sits within the northwest quadrant of the intersection of Ashton Road and Bliss Road. Significantly, these two roads are arterial to Clark Road towards south, Proctor Road to the north, and Honore Avenue and Interstate 75 to the east. All of these four are vital corridors circulatory to the major local destinations which are magnets to searchers of Sarasota homes for sale. Ashton Meadows is platted for a total of 41 lots, all set for single family homes. The choice sites are those backed up to the property’s charming lake feature and tucked in the cul-de-sacs of the community’s lone internal street, Silver Topaz. Gate access to this community is via Ashton Court off midway the stretch of Ashton Road. For Ashton Meadows, D.R. Horton drew four floor plans from its rich portfolio of home designs. 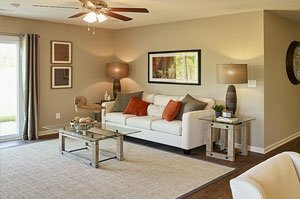 The choices that it set for this community include a one-story layout and three plans for two-story builds. All of these home design options notably showcase this builder’s 40-year experience in residential property development. The lone single-story design of Ashton Meadows homes for sale is D.R. Horton’s popular Allex floor plan measuring 1,504 square feet, featuring three bedrooms and two baths. Designed with a two-car garage as well, this build comes with a starting price quote just a shade under the $300s. 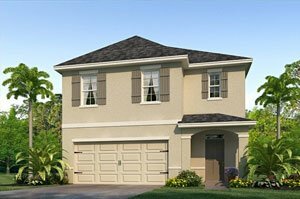 The pricing of the two-story Ashton Meadows homes for sale starts at the $300s range. These residences feature floor areas of between 2,000 and 2,260 square feet designed with four to five bedrooms and either with two and a half or three baths, plus a two-car garage. Optimized living space is characteristic of Ashton Meadows homes for sale, with their open- concept kitchen seamlessly in-between the living and dining rooms. All builds in this community are of concrete block construction and carry the D.R. Horton style upon which its reputation as “America’s Builder” rests. Bundled with the latest energy-efficient stainless steel appliances, these homes also incorporate granite kitchen countertops and a covered lanai. Living in Ashton Meadows suits families with school-age children, as this community is walking distance to Sarasota Middle and Ashton Elementary. The top-rated Riverview High on Proctor Road is also easily accessible from this community. In addition to these nearby schools, major retail outlets and restaurants are near this community. A healthcare unit of Sarasota Memorial Hospital serves this Bee Ridge area too. Moreover, the Interstate 75 interchange a short distance east of Ashton Meadows opens convenient access to a wider choice of life and leisure centers as well as employment hubs not only in Sarasota but also in Lakewood Ranch. A short drive westward Clark Road, furthermore, unlocks many recreational activities. These include the water-based pleasures at the pristine beaches of Siesta Key which are likewise amongst the delights offered by Ashton Meadows homes for sale. 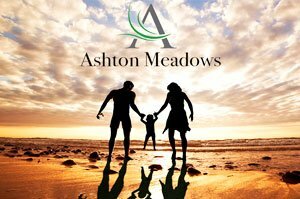 Below are the current real estate listings available at Ashton Meadows.